Here’s the beautiful Beta Cygni or as it’s famously known, Albireo that I captured last week. This incredible summer double star resides about 430 light years away in the constellation Cygnus the swan. 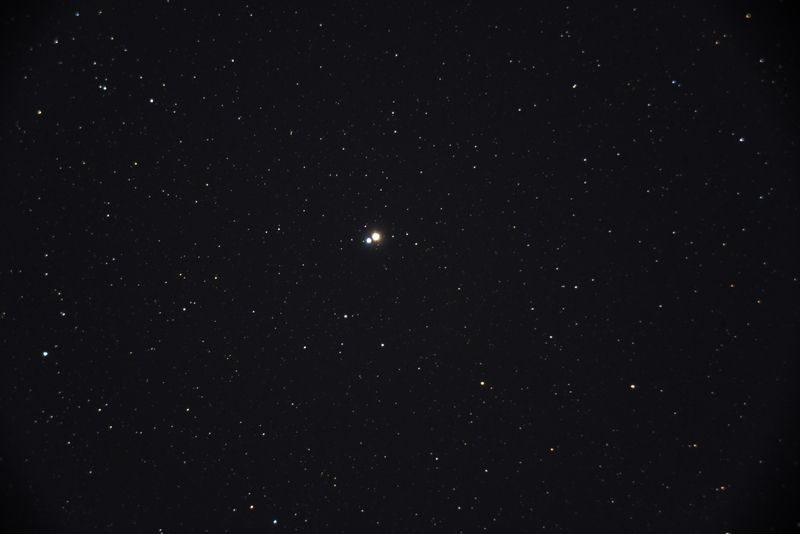 The sapphire and gold color contrast of these two is unmatched by any other pair that I can think of and interestingly enough, although it’s labeled as Beta Cygni, it’s actually the 5th brightest star in the constellation. It’s unknown if in fact this pair is an actual double star or just a line of sight double as if they are together they have an orbital period of at least 100,000 years. This sight is available to even small telescopes so get out there and have a look. Just wear bug spray, I did the experiment for you. Also, for those of you who like to know; I captured this at ISO 3200 with single 30 second images with my Celestron C8 on a Celestron CGEM equatorial mount and a Nikon D750 camera. Feel free to use this image with credit, thanks. Image | This entry was posted in Astronomy (Learning), Astrophotography (DSOs), Images, My Images, Stars (Non-Sun Related) and tagged Albireo, Astronomy, Astrophotography, Beta Cygni, C8, Celestron, Celestron C8, Cygnus, Dan LaShomb, Daniel LaShomb, DanSpace77, Double Star, Nikon D750, Science, Space, Universe. Bookmark the permalink.